Our customers are the reason for our continued success. Please let us know how we can assist you. For further questions and information feel free to contact us. The Toyota Center Box Office is on the La Branch Street side of the arena. You may purchase tickets in person at the Toyota Center Box office during normal Box Office Hours, shown below. Call 866-446-8849 for summer hours. Have A Question About Your Tickets And Event Is Today? Email us at [email protected] (format below). PLEASE NOTE: Same day emails will be answered 2-4 hours within receipt of email. All other emails will be answered within 72 hours of receipt. Have A Customer Service Issue And At An Event? 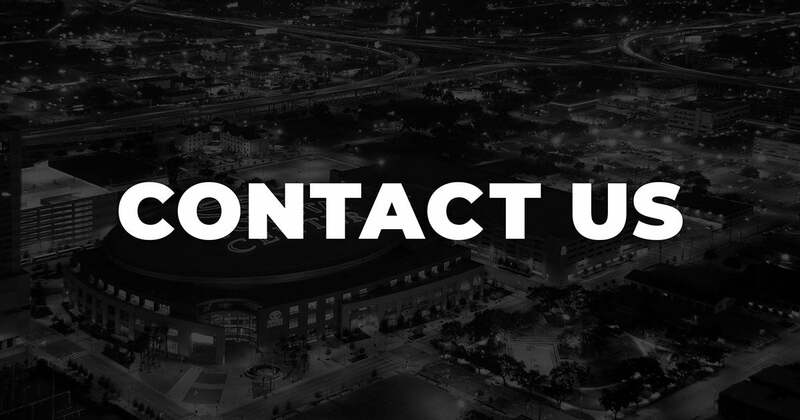 For your Customer Services needs while at an event at Toyota Center, text TCHELP to 59925.